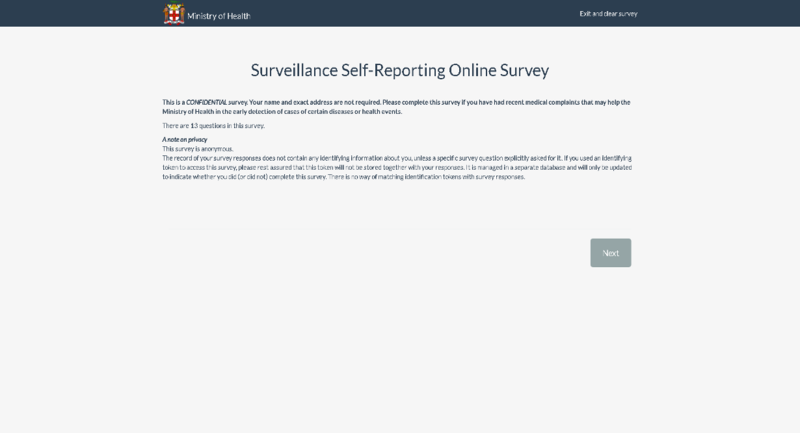 Middle of Page 3 of Self Surveillance Survey. 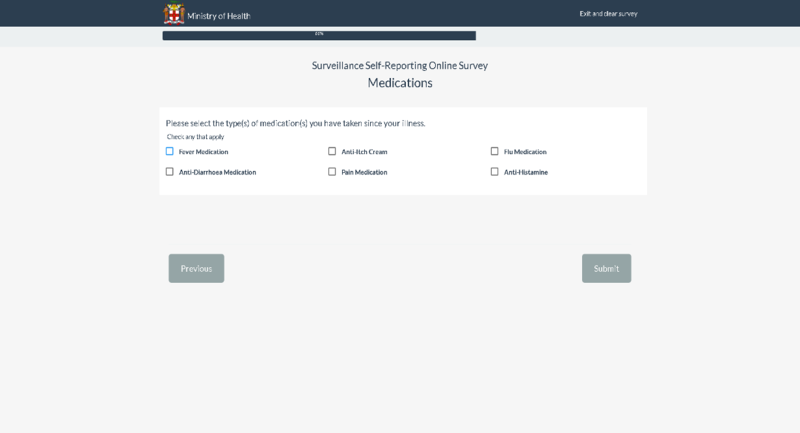 Page 3 of Self Surveillance Survey. 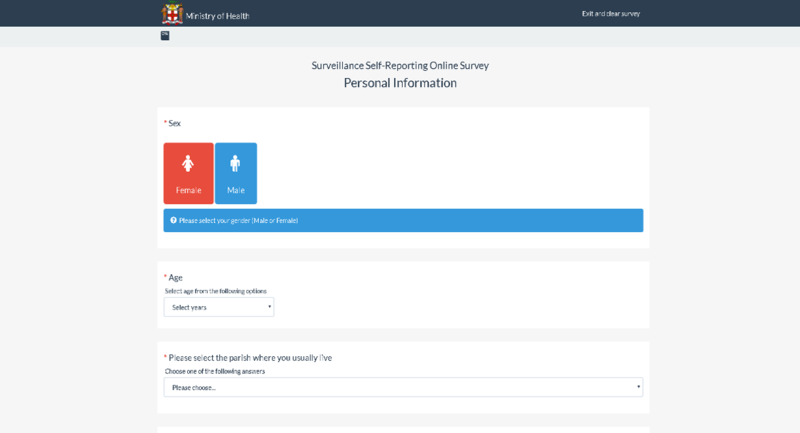 Bottom of Page 3 of Self Surveillance Survey. 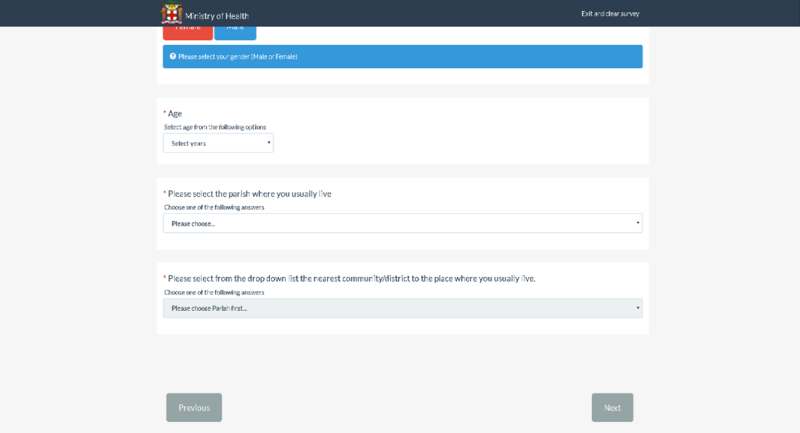 Middle of Page 2 of Self Surveillance Survey. 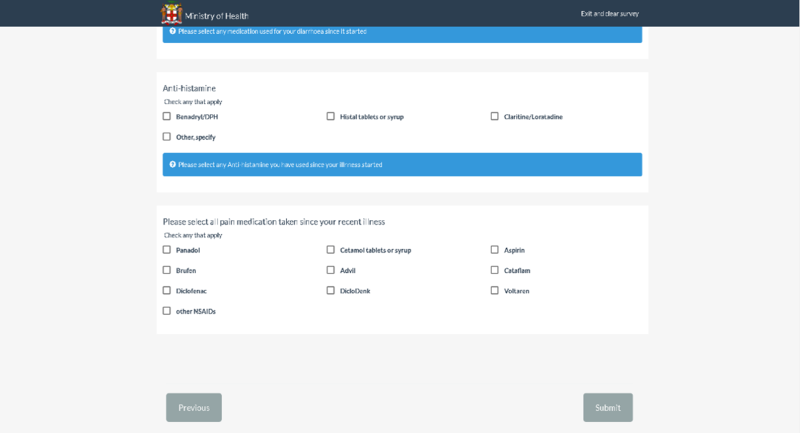 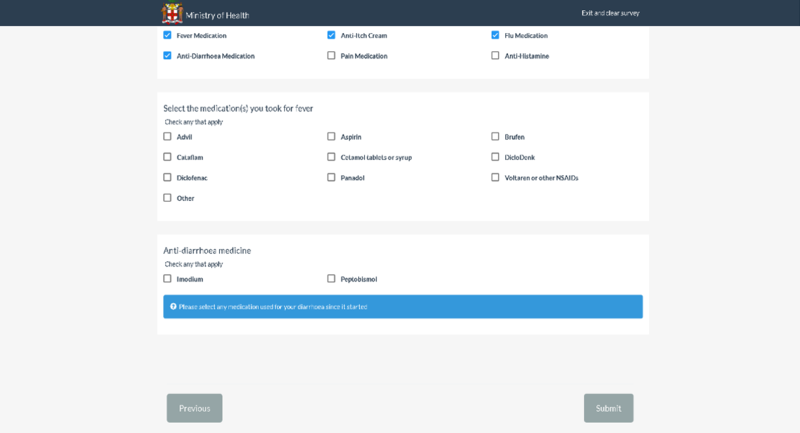 Medication type auto appear when illness is selected on page 3 of Self Surveillance Survey. 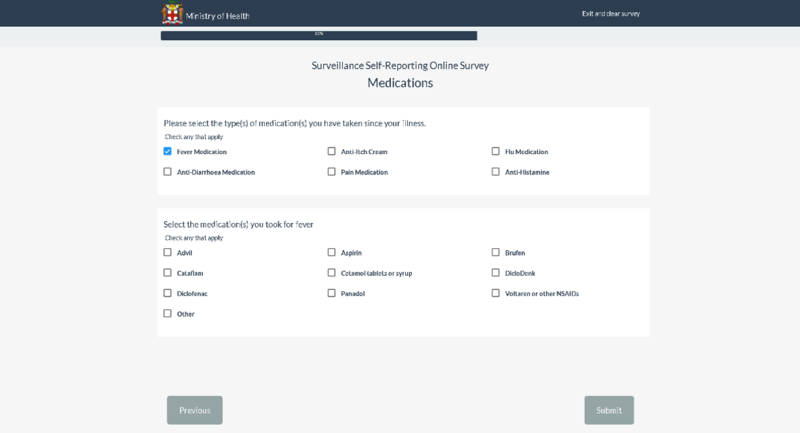 Self Surveillance Survey Medication page. 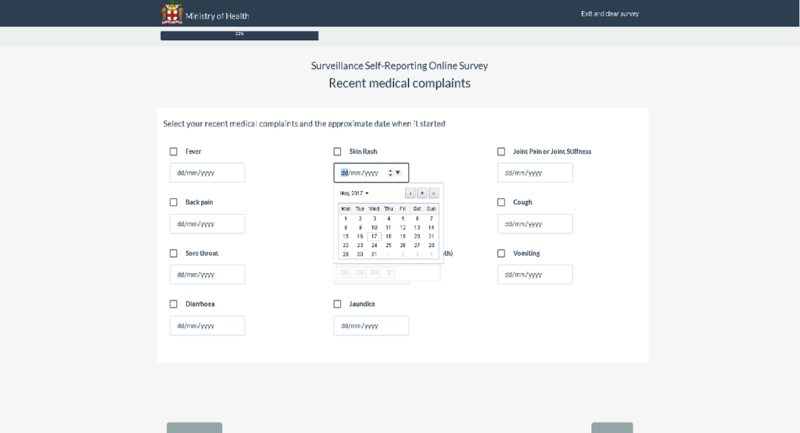 Self Surveillance Survey page 2 complaints. Self Surveillance Survey complaints page. Self Surveillance Survey illness date. 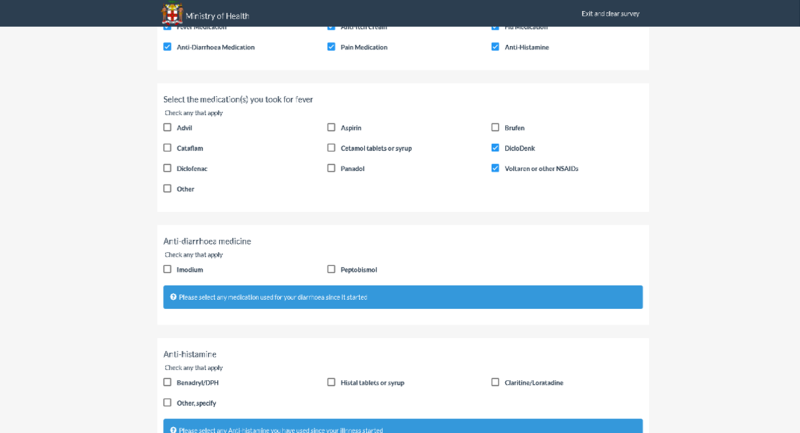 Self Surveillance Survey Medication page middle.